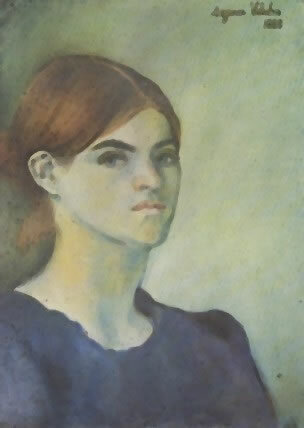 Suzanne Valadon modelled for Puvis de Chavannes, Degas, Renoir, Steinlen, Toulouse-Lautrec and even composer Erik Satie, who represented her, respectively, as statuesque, naked, innocent & melancholy, provocative, hungover, and early-Renaissancesque. 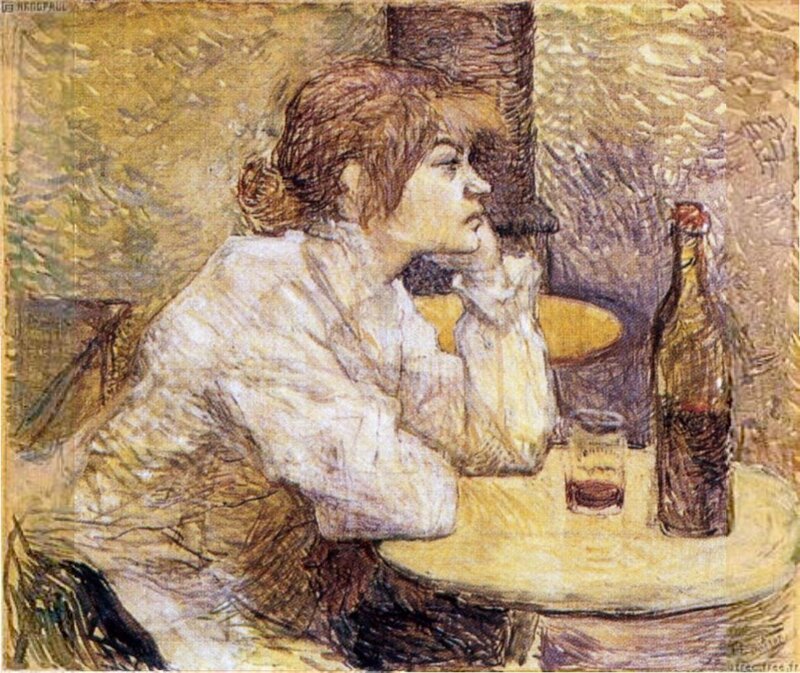 She had relationships with most of these artists, and rumors have it she tried to commit suicide in order to get Toulouse-Lautrec to marry her. This could be true or it could be a legend. Nevertheless, I cannot help but notice that the only one who really got the intensity of her stare — the only one who saw her, as it were, as she saw herself — is indeed Toulouse-Lautrec. Witness the first and last of her self-portraits, dated 1883 (top) and 1931 (bottom), compared to Toulouse-Lautrec’s 1888 painting Gueule de bois (centre).